Three of my good friends called to check on me this weekend, I am pleased. Put me down as a Happy Camper in life. Of those, my friend Wynell, was even brave enough to venture an opinion of sorts. She said that I need to get out of the house more often. So Cup Cake and I, we drove downtown this weekend, for some Mexican Food for lunch. After consuming wayyyyy too much hot & spicy Mexican food we went down to the Bass Pro fishing joint. Didn’t make a purchase of an item, just browsed the store, looking at the sporting goods, fishing, hunting stuff. Walked around the store looking at this and that, didn’t really buy anything. Although I love the outdoors, nature and all the wonders of it, it would be a fair assumption to say that I am not a big sportsman. Now if I could find a girl that loved to fish, I might consider it. Mexican food gets me every time. Maybe Wynell is wrong, maybe I ought to just stay in the house. While we are on the subject of food? (Nice blend huh? Well, whadya expect for free) Buffalo Wings as I understand it are forty years old, and that was a NEWSWORTHY item because? Well they are. That is another mystery … “Buffalo WINGS?” … Never quite understood the terminology behind that, how can a buffalo have wings? Just like this dinosaur thing, they say that is where birds came from, they were once dinosaurs and had to evolve. 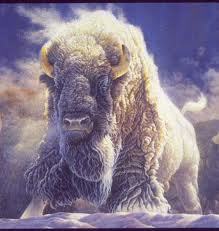 Taking it one step further I suppose all the buffalo were taken so evolutionarily speaking they were made into birds. Huh? Kind of like Chicken McNuggets, what part of the chicken is that, exactly? How about this “Man from Apes theory.” If man truly came from Apes and the species evolved … Then why do we still have Apes? Just thinking outside the box here, which should be quite apparent. Another obvious point should be that this is being written by a guy who never had his science project turned in on time. Why is it that our children cannot read a bible in school, but they give them one in prison. How come they took out “one nation under God” out of the pledge of allegiance, but are allowed to pass out free condoms in school. Why do I swear to tell the truth, the whole truth, and nothing but the truth, before God and on the bible in court testimony, and inside the same building there are no displays of the ten commandments. If there truly is a “separation of church and state” (I believe there is not) then why is it that my polling place, is in a church? Just thinking out loud again … Anyone want to take a shot at one of those, any of those? It is great to have good friends, who like they say in the bible are obligated to check on the old and the feeble minded. One thing I do know for sure is this. Nine times out of ten, when someone says to you, “I hope you don’t mind me saying this …. But ….” You will. Criticism is a good healthy thing, and if it adds to the mix, then it is a bonus. I just accept it (as best as I can) and tell them this. When you happen across some of this drivel, my distinct temporary loss of sanity, take it with a grain of salt and move on. It is my opinion, that writers’ write because they like to write, some feel the need to write, others want to be writers, and few if any have a real problem with people who do not understand these concepts. To those who occasionally call, and offer your sincere encouragement, thanks for the input. For all of you who check in on Monday’s to see what is new and then comment, again, thanks, we appreciate it. If it doesn’t agree with you … if it reads well or doesn’t … let me know. Feedback is a good thing. That my friends, is Monday in a nut-shell, I am glad we got all that out of the way, now I can get back into the kitchen and stick my head back in the oven. I really didn’t want to get up early anyway. This entry was posted in Life, Oklahoma and tagged bait shops, birds, church & state, civil rights, courts, dinosaurs, fishing, government, outdoors, sporting goods, women. Bookmark the permalink. Thank you …. You are too kind. How’s your head Birthday Girl? Yes, they are going to love me at the home! It is in there somewhere, take care of the old geezers and the feeble minded, our kid is a preacher and he tells me all about it. Not sure why I know this but BUFFALO WINGS originated at a bar in BUFFALO, NY. Saw it on one of those food show on the tube. Isn’t it strange where we pick these little trinkets up? (Or that might be “isn’t it strange where we pick up these little trinkets?” …. I dunno?) I never know what it is that I am going to come across next, guess that is what makes it (life) so dog-gone interesting. Thank you for your comment, it appears to be girls day here at Creative Endeavors … I am a fortunate pilgrim indeed. Next Monday’s post? The Life Of A Chick Magnet in Oklahoma don’t miss it! I have to disagree on a few points in today’s post. Bibles and books of other religions are available to prisoners. “One nation, under God” is still in the Pledge of Allegiance. In Oklahoma at least, the Bible is not used for swearing witnesses, they merely raise their right hand and take the oath. After all, would an oath taken by a Buddist with his hand on the Bible mean more? The separation of not only church and state, but all religions and state, is found in Article One of the Constitution where it states: Congress shall make no law respecting an establishment of religion, or prohibiting the free exercise thereof. I have voted in churches and also schools. I’m pretty sure voting also takes place in synagogues and perhaps other buildings of religious organizations. The election boards set up polls in buildings where the owners are willing to accept payment for their use. To claim the Constitution was written to favor one religion over another is incorrect. Nowhere in it does it refer to God, the Bible, the Koran, the Torah, divinity, Jesus, Krishna, Mohammed, Buddha or faith. While faith is an important part of many people’s lives, including my own, it is not part of our U. S. Constitution. People of all religions and people of no religion are entitled to equal treatment under the laws of this nation. Therefore, the appearance of favoring one religion over another should be avoided by the government, in my humble opinion. Awwwwww Y’know me, every now and then, I slink off to the deep end of the pool. Another well written comment James, you should have your own webpage now that you are officially “out of service” (retired). I believe you would do good, we could call it Jake Runyon’s Musings … What do you think? Thanks, but I don’t think I can come up with enough on my own. I have always admired your ability to keep coming up with new stuff. How about if I just read your’s and pick on you once in awhile instead??? I don’t buy it, they say everyone has a story inside them, you are much to creative and quick on the take to say you could not come up with it on your own. It is a chore to do it though, I will grant you that. There are definitely times when you sit here and look at a blank computer screen and think to yourself …. Now what?